Transformer Oil Specifications - ! Equipment for Transformer Oil Reclamation. GlobeCore. Dielectric transformer oil is made from crude oil by separation of the most volatile hydrocarbons: diesel fuel, gasoline and kerosene. The rest is distilled to solar oil fractions. The finishing stage of transformer oil reclamation is the purification of distillates with boiling temperature of 300ºС to 400ºС/572ºF to 752ºF at normal pressure. The properties of the transformer oil define its area of application. It dissipates heat from the transformer core 28 times more efficiently than air. Properties and specifications of transformer oil are as follows: Color. This is not the main parameter, but provides some information on the actual quality of the oil. Volume Weight. This parameter of the transformer oil is not regulated. When hot, it is less, when the oil is cold, it is more. Changing of temperature by 1ºС, its volume weight changes by 0.0007 units. Viscosity. It is one of the most important parameters of transformer oil. The oil filled into the transformer must have low viscosity. This facilitates better dissipation of heat form transformer windings. Ash Content. This parameter is mostly important for fresh oils; it shows the quality of their washing. In the case of poor washing, there are enough salts and soap in the oil which can leave unacceptable quantities of ash when the oil is burned. Sulfur. Sulfur in the transformer oil originates from the crude oil and can be contained there in one of three states: in strong compounds, in compounds that easily release sulfur and in a free state. The latter two are unacceptable since this chemical element can intensify corrosion and increase resistance of contacts in transformer switches. Content of sulfur in the transformer oil is measured by its influence on a copper plate. Settling Point. This parameter is the most important parameter for oil filled switches operating in the open air. Solidified oil in low temperatures causes significant resistance to the moving parts of the switch and disrupts arc extinguishing. Sodium Test. This is a method of measuring the quality of the transformer oil purification process by the amount contaminants left in the oil. Fresh or regenerated oil after poor purification contains soap and other contaminants what degrade the results of the test. The sodium test of a fresh product can also show its stability. The test is not performed for oil during operation. Purification and Regeneration of Transformer Oil. Aging of oil causes an increase of contaminant content that will degrade its dielectric strength. Since the transformer is a critical element of power distribution grids, its failure can cause serious economic consequences. It is therefore, better to prevent the problem than performing expensive corrective maintenance operations. 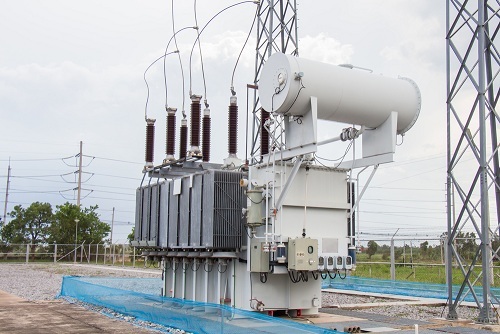 When transformer oil is not compliant with performance standards and paramters, there is a solution. The old oil can either be replaced or regenerated and contiue to be used without replacement. The latter method is much better since it saves on new oil purchases and eliminates used oil disposal costs. Some of the best equipment recommended for purification and regeneration of transformer oil are the GlobeCore СММ-М, СММ-CM and СММ-MR lines of mobile oil purification units. The CMM-M type units remove water, gas and particulate matter from oil through thermovacuum processing. The CMM-CM units use zeolite for purification. This system can remove water and solid particles from the oil. The CMM-MR units provide complete regeneration of dielectric insulating oils using Fuller’s Earth which can be reactivated in the system without the need to stop the process. Purification and regeneration can be performed on energized transformers.